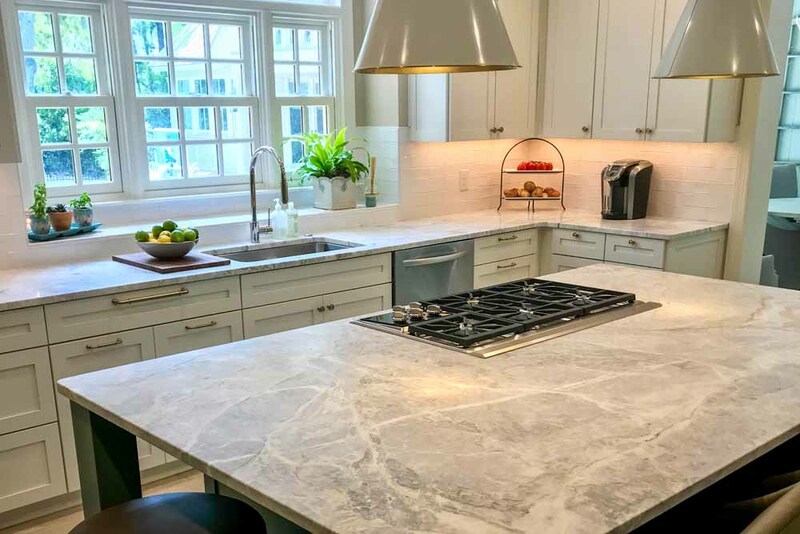 We recently gushed all about the latest and greatest trends in quartz countertops, but we think that the topic of engineered material is one worth diving deeper into. 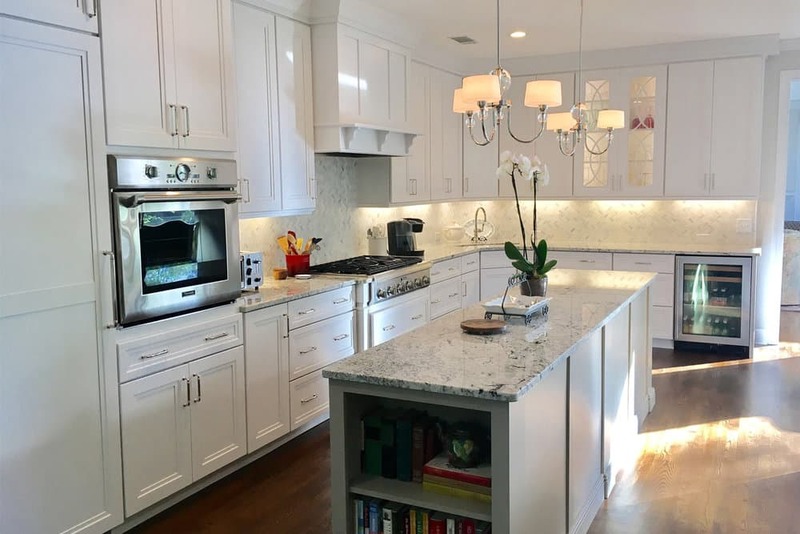 Granite, a natural stone, still remains quite popular, but engineered stone countertops have risen in the ranks of popularity over the past few years. In fact, go back even three years, and the National Kitchen and Bath Association found that engineered quartz was the most favored choice among consumers and designers for bathroom and kitchen countertops. In 2018, this still holds true. Although the term “engineered stone” is somewhat intuitive, there may be some vagueness surrounding how it’s created. Granite is formed when “molten rock is forced between other layers deep in the earth’s crust.” When these natural stones are ground and mixed with a small amount of resin (a technical term for plastic), it creates engineered stone. 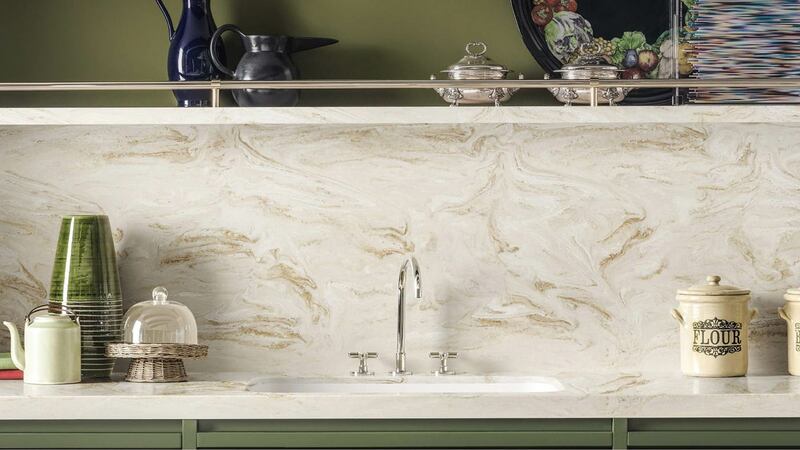 The resin helps allows for flexibility to mold the stone into a particular countertop design, the overall look, and reduced weight when compared to natural stone’s inherent heaviness. 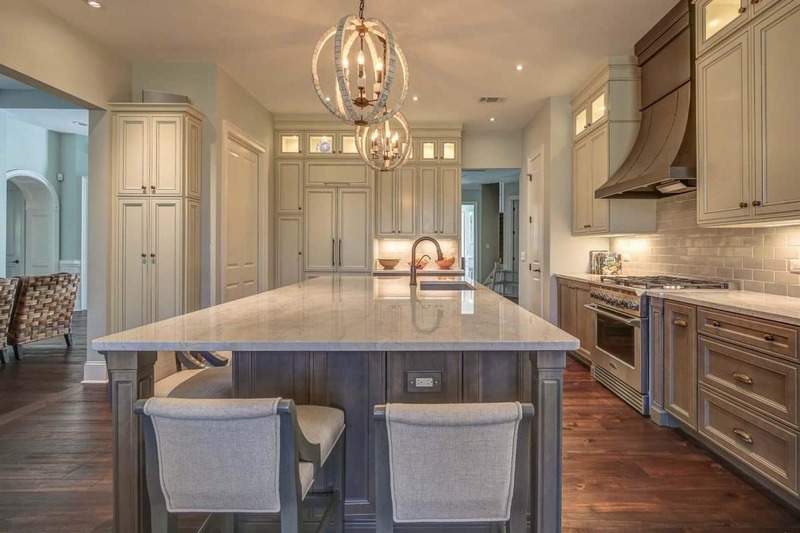 Why are Engineered Stone Countertops So Popular? Easy: The seemingly endless variety of options that are available. Think bold designs and beautiful, custom colors; stunning finishes and looks (such as the waterfall countertop); variation in thickness and texture. Working with an engineered stone countertop allows you to truly customize your space exactly how you want it. When we say “durability” we’re referring to both the wear-and-tear that a countertop experiences in its lifetime as well as the potential opportunities for stains that inevitably happen when a kitchen is used. This material won’t crack, cut, or leave scratch marks. Engineered stone’s durability also transfers to its stain-resistant powers. Whereas natural stone should be sealed to prevent kitchen-prone stains from oils, juices, and other substances, engineered material doesn’t need a sealant. It’s just man-made to be durable and resilient. All of these durability facts mean that your countertop will look better longer! At MultiStone, we offer a variety of engineered stone options. We have Silestone and Caesarstone, Zodiaq and Quartz, and many more! Before we get too technical with the terms, it’s best if you give us a call and schedule an appointment to discuss our options in person and how we can make exactly what you’re looking for! If you’re interested in implementing some 2018 trends into your kitchen or need some advice on kitchen countertops, give MultiStone a call. We’ve seen a lot of kitchen countertops in our over two decades of experience, so we can definitely help you pick out the perfect material and design for your home.